This year Vietnam marks the 30th anniversary of the launch of Doi Moi, the socialist government’s series of reforms that loosened its control on free enterprise and opened the once-isolated nation to international trade. Although the changes succeeded in boosting exports and reducing overall poverty levels, they also created a widening economic gap between urban and rural areas, particularly among Vietnam’s ethnic minorities. 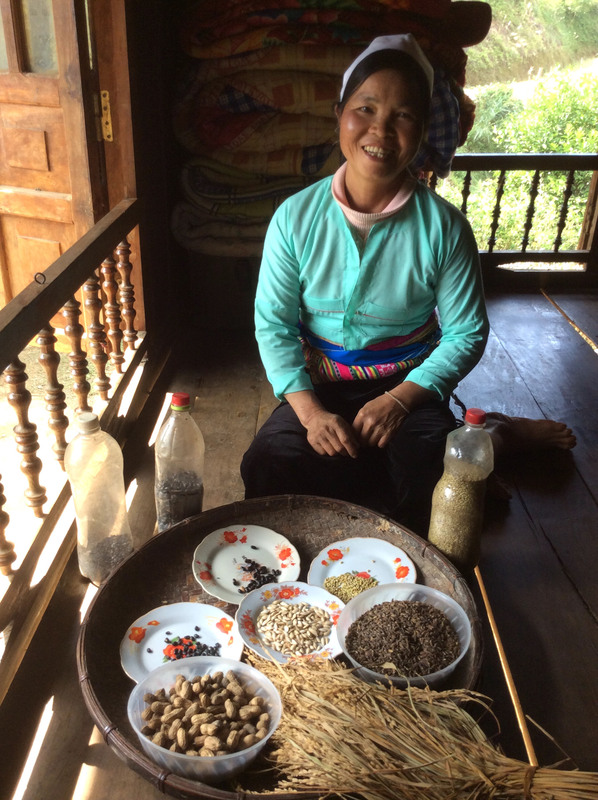 Since 2009, the Japanese NGO Seed To Table has been supporting those who have fallen through the cracks in Doi Moi. 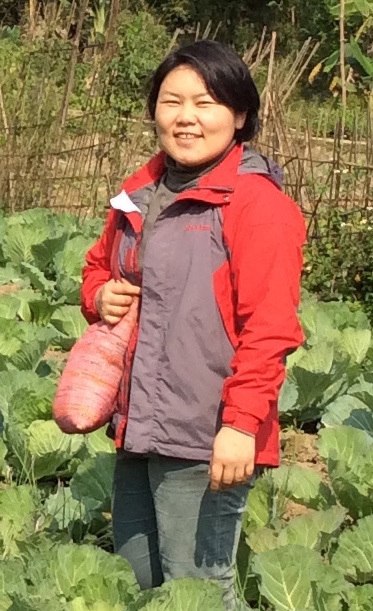 Founded by Tokyo-born Mayu Ino, the organization helps farmers to survive, and prosper, in Vietnam’s market-oriented economy. “We encourage sustainable development by helping farmers to generate regular income. At the same time, we assist them to become more self- sufficient while protecting the natural resources in their communities,” Ino says. Seed To Table operates on a ¥15 million annual budget made possible by private donations and corporate funding, including contributions from U.K. cosmetics company Lush, the Mitsui and Co., Ltd. Environment Fund and Japan’s Foreign Ministry. In the past three years alone, the NGO has alleviated poverty in more than 1,300 households. All this is a long way from when Ino first arrived in Vietnam in 1997 as a student of language and culture at Hanoi National University. Ino still remembers how painfully her mouth muscles ached as she tried to get her tongue around the six tones of Vietnamese pronunciation. After months of study, when she finally thought she was making progress, she asked her landlady in Vietnamese to take her to a bicycle shop to repair a punctured tire. “The woman nodded like she’d understood. Then she went away and came back with a bowl of yogurt,” recalls Ino with a laugh. Undeterred, Ino persisted in her studies. 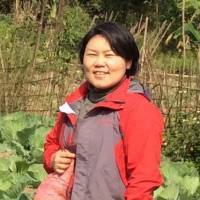 After leaving Hanoi, she gained her master’s in Southeast Asian studies at Hitotsubashi University in Tokyo, then joined the NGO Japanese International Volunteer Center (JVC) as program officer and then country representative for Vietnam. For six years Ino assisted community development projects such as constructing water spillways and planting tangerine seedlings to reduce soil erosion. When JVC closed its Vietnam office in 2009, Ino wasn’t ready to leave, so she founded Seed To Table. Today the NGO operates in two main areas: Hoa Binh province in the northern mountains and Ben Tre province in the Mekong Delta of Vietnam’s south. 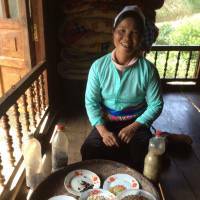 Hoa Binh is home to the Muong ethnic group, with whom Ino has been working off and on since 2003. One of the most serious problems in their community, explains Ino, is the overuse of agricultural chemicals, which have caused illnesses among local children. In close cooperation with local farmers, Ino organizes the collection of insects and pond life in order to identify which are harmful — or helpful — for crops; farmers also gather native species of seeds to catalogue and save for future generations. Such seeds, explains Ino, are better suited to local conditions and can be grown in compost without the need for chemicals. 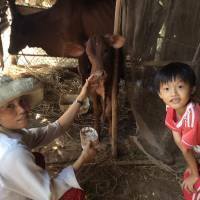 In 2014 these projects helped Hoa Binh farmers obtain organic certification, allowing them to sell their produce at higher prices than crops grown with chemicals. To promote Hoa Binh’s organic pork, eggs and pomelo citrus fruit, Ino recently organized a meeting with the Hanoi Chefs Club, whose membership comprises staff from prestigious hotels and restaurants. In Ino’s southern base of operations, Ben Tre province, many residents of the Mekong Delta suffer from extreme poverty. For example, processing seafood earns workers just 80,000 dong (¥400) a day, and many farmers work plots of land too small to support their families. Ino helps Ben Tre’s farmers to raise organic crops that sell at prices double or triple the market average. Among their most loyal customers are local schools keen to serve chemical-free lunches to their students. In 2015, Seed To Table arranged a competition for children to come up with a logo for organic-certified produce. Today the winning design, a cabbage wrapped in an “Organic” ribbon, adorns the packaging of certified fruit and vegetables together with the farmers’ mobile phone numbers, so consumers can contact them directly with any queries or complaints. 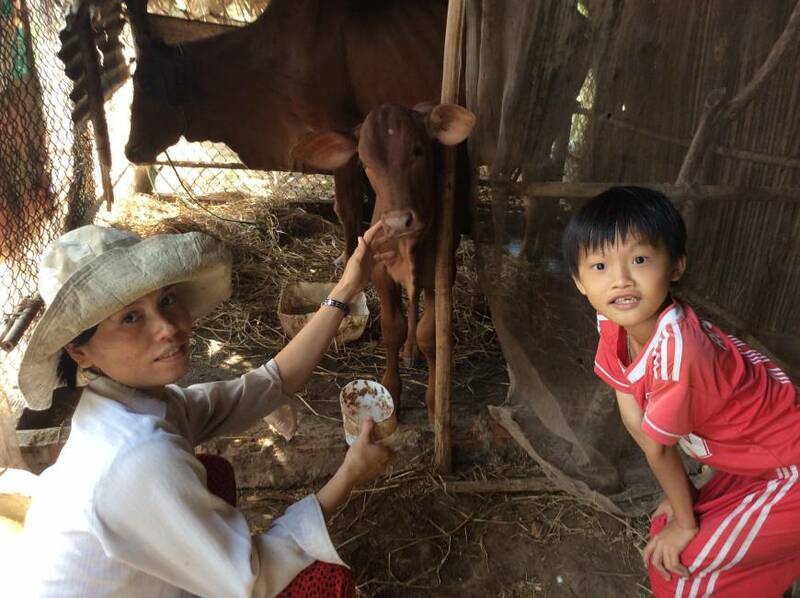 As well as modern-day chemicals, Ben Tre residents are also concerned about contamination left over from the millions of liters of Agent Orange sprayed there during the Vietnam War. Today, approximately 13,300 people in the province (total population 1.5 million) are sick from dioxin exposure, including many children whose illnesses force their parents to stay home to provide care. Unable to work, these families receive support from Seed To Table in the form of home construction and upgrades of their care facilities. In 2014, for instance, private donations from Japan helped the NGO build a tiled bed/bath for a young hydrocephalus patient. Since 2012, Ino has arranged for families to borrow flocks of 25 ducklings that they then raise, breed and sell for meat. “In Ben Tre, one family bred their first 25 ducklings and within a year they were able to make enough money to buy four water tanks. In turn, these tanks allowed them to grow more vegetables so, by the next year, they had enough money to buy their own land,” explains Ino. Ino also organizes a “cow bank” where farmers borrow a female cow at a very low price. After breeding it and returning one calf to the bank, they are allowed to keep the original cow and any further offspring. Considering a full-grown cow can cost as much as 30 million dong (around ¥150,000), Ino’s bank gives farmers a unique opportunity to take their first steps out of poverty. To date, Seed to Table has loaned out 72 cows and tens of thousands of ducklings. The NGO also teaches farmers the fundamentals of bookkeeping so they can better manage their newfound finances. Initially skeptical of the benefits of small-scale projects, in January 2016 local authorities in Ben Tre announced they would start adopting similar approaches to community development in the future. Despite these signs of progress, Vietnam’s farmers face an uncertain future. In 2015 the government authorized the cultivation of genetically modified crops, a move that could threaten the local varieties that Ino has struggled so hard to protect. Moreover, Vietnam has signed the Trans-Pacific Partnership, which may leave farmers at the mercy of large multinational corporations. No matter what changes these policies bring, Ino is committed to supporting those who need help the most. Short-term goals for Seed To Table include creating stronger support networks among women in rural communities to secure regular incomes. In the longer term, Ino plans to foster connections between Vietnamese farmers and markets in Japan, South Korea and Europe. What gives Ino great optimism is the younger generation.